Dora "Toots" Locke was born on May 30, 1935 in Winnie, TX to Bishop and Esther Phillips. 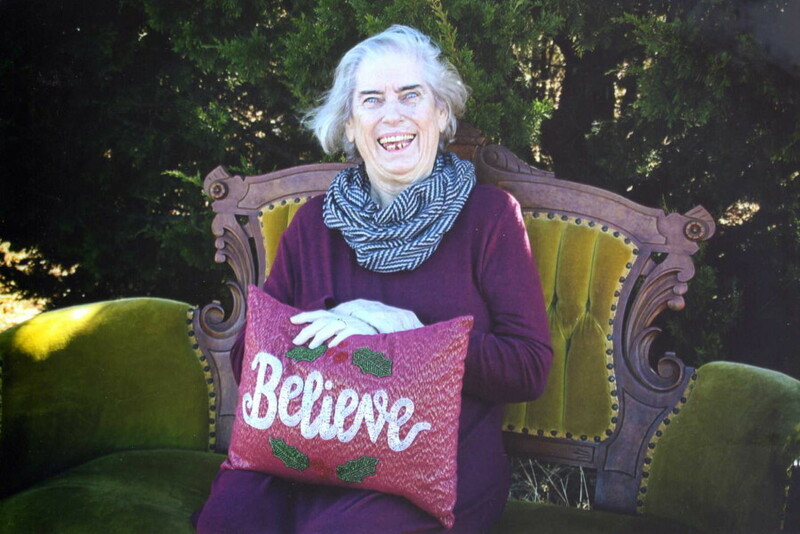 She passed away on Sunday, January 20, 2019 in OKC,OK at the age of 83. She was born and raised in Houston, TX area, graduated from Winnie High School in Winnie, TX, but spent her entire adult life in Oklahoma. She married Doyle Ray Locke on December 14, 1959 in Upland, CA. She was a devoted housewife for 60 plus years. Dora completed 15 years of being a foster grandparent at Caddo Kiowa Vo-Tech. She was known throughout the community. She visited and made friends with everyone she met. She was a member of several quilting clubs: Stampin Up Club, was a member of the Sickles Community Church. For those that knew Dora best, know that she was a faithful follower of Christ, strong Christian, was the Queen of prayer warriors. She was steadfast in her prayer for her family and everyone she knew. She was always ready to go to the grandkids and great grandkids programs, sporting events, and VBS. She was preceded in death by her parents, Bishop and Esther Phillips, her husband Doyle Locke, her children, Roy Locke and Linda Smallen, her granddaughter, Rachel Locke, her brothers, George Phillips, Elmer Phillips, and her sister, Mary Phillips. Survivors Include: her children, Mary Scott and husband Bobby of Mustang, OK, Ada Locke of Ft Cobb, OK, and David Locke and wife Connie of Binger, OK, her 9 grandchildren, Stephanie Keener and husband Kyle of Lookeba, OK, Natasha Scott and friend Aaron Rhoads of Carlsbad, NM, Lacey Hall and husband Jesse of Mustang, OK, Michael Locke and wife Kristi of Ft Cobb, OK, Jason Locke of Binger, OK, Mathew Locke and wife Megan of Norman, OK, Andrea Fleharty and husband Sean of Mustang, OK, Clayton Cooper and friend Hannah of Ft Cobb, OK, and Amanda Wilson and husband Chad of Hooks, TX, 16 great grandchildren, 2 brothers, Noel Phillips and wife Vickie of Houston, TX, and Clifton Phillips and wife Delores of Abilene, TX, as well as many other relatives and friends. Burial: Lookeba Cemetery, Lookeba, OK services entrusted to Turner Funeral Home, Binger, Oklahoma. Condolences may be sent to the family at turnerfuneralhomes@gmail.com, turnerfh.net, or you can find us on facebook.com (Turner Funeral Homes).